Many things in the gate industry have changed over the years and “Gate Repair Santa Ana” changes accordingly. Our company keeps developing and making improvements to keep up with the developments in the industry and uphold our great reputation in California. Every job is completed to your satisfaction thanks to the professional skills of our experts and the solid technical foundations of our business. Gates are installed to further secure a property. With crime being a major issue and people getting busier and spending more time out of the house, it is understandable that easy access combined with safe operation is in such high demand. As a full service provider with knowledge of the many special features modern gate systems and their operators have, we can help you in a myriad of ways. From the installation of new products to explaining the differences among new openers, fixing the hinge welding, checking the reverse system and programming the gate intercom system, you can be sure that you have chosen to hire a company that can help you with all your needs. As residential gate service experts, our technicians can help you with all your concerns and demands related to your home gate. Our company installs, repairs, maintains and replaces gates and their parts, including operators and intercoms. With us, you will be sure of the condition of all mechanical components, feel reassured by the safe operation of the system and the capacities of your operator, and enjoy perfect access control thanks to your intercoms. Investing in such systems is the way in which you make sure your family can come and go without concerns, problems and injuries. When you invest in our Gate Repair company in Santa Ana, you can be sure of your home's security and the safe access of your family. 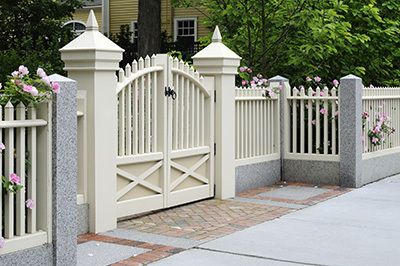 Our company was founded in order to provide top quality gate services. These days, gates are complex systems. With residential gate openers and intercoms being the means of your safety and increased security, their good condition is of the essence. You can trust that our technicians are knowledgeable of such residential systems and have the competence to check, install and fix them. All services are carried out with accuracy and our company has the ability to serve people in urgent need in a timely manner. * Gate hinge repair, wheels replacement, welding services or track alignment: We offer repair services and are able to fix all parts of the system. Our professionals fix intercoms, operators and their parts, rollers, wheels, posts- and virtually any part related to your gate. * Installation of new openers, intercoms and gates: Whether this will be the very first time you are installing a gate or intercom, or if you need us to remove an existing one and install a new system, you can be certain of our competence. * Swing gate operator replacement or rotten parts replacement: Count on our team to replace any malfunctioning part and get your unit back in shape as soon as possible. * Routine services: We offer maintenance whether the client wants us to check the entire system or simply service the operator. 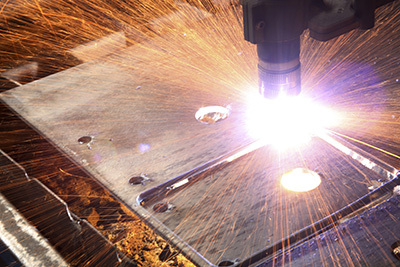 We make sure that every part performs correctly and is in good shape. Our service includes lubrication, adjustments, inspection, repairs, testing the reverse system and an overall tune-up. 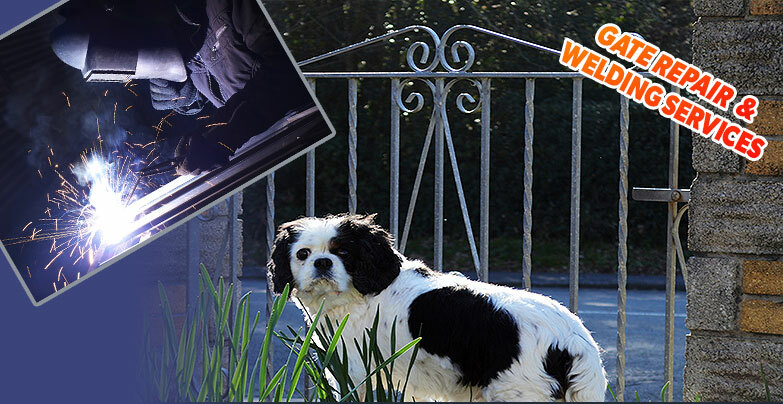 Our clients can find a perfect shelter at Gate Repair Santa Ana. You will discover that our team can help you every time you have questions, need an urgent service or simple advice. More, all services are provided by professionals with knowledge, experience and expertise. We are proud to say that our whole staff consists of technicians who know what to do when your safety is threatened and how to make things work for you so that you will never deal with such issues. In any case, you can be sure that our company will always stand by your side, able to provide the right service at the perfect time. Whether you need new gate installation, opener replacement, routine inspections or emergency same day gate repair services, you can count on us. We serve the entire 92702 zip code area and are considered one of the top teams in California for residential gate services. Whether you own swing or sliding gates, we can be of service. 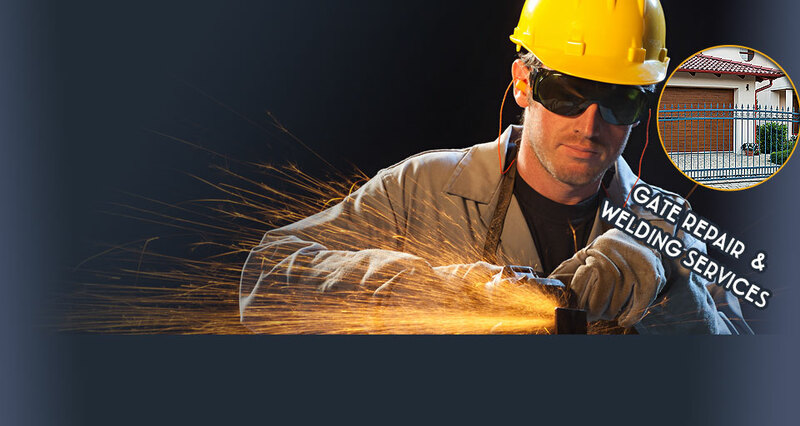 We have experience in gate repair services, including the installation of gates and operators, emergency repairs and hinge welding reinforcement. Contact us for the best service in Orange County! 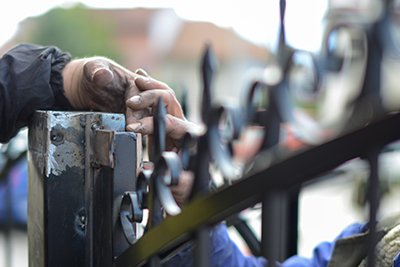 Whether you have trouble with the opener, safety sensors, tracks or any part of your gate, you can count on our local gate repair company to fix the problem effectively and quickly. You can expect quick response from us in any kind of situation. Our technicians are always fully prepared for any job! Be it to fix a broken hinge using welding, replace a bent track, troubleshoot a malfunctioning opener or get the intercom system to work again, there's no one better for the job! In addition to our repair services, we also install new gates, intercom systems, and openers.